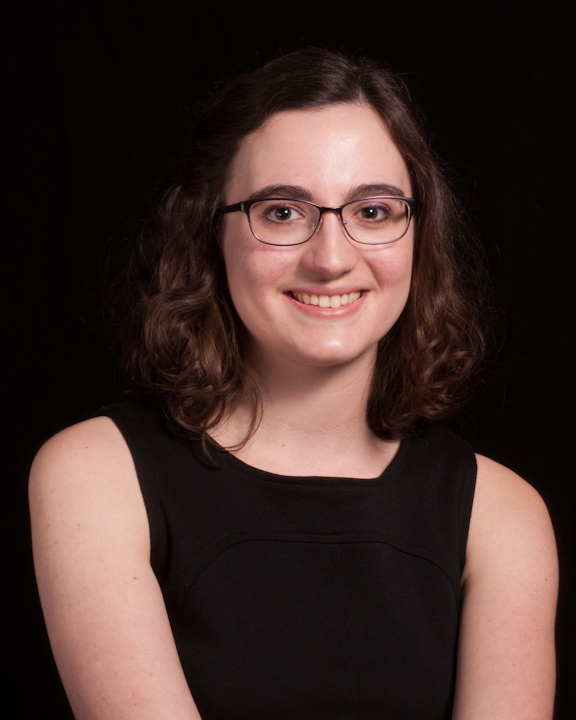 ME: I have lived in the Annapolis area all of my life, apart from a three-year stint at St. Mary’s College of Maryland, where I completed my BA in Theater, Film, and Media Studies in May (I minored in Art History and Museum Studies). I have interned around Annapolis in a handful of places: Maryland State Archives, Historic Annapolis Foundation, and Colonial Players, so it was inevitable that I’d come to work at another public arts organization in town, MFA! I’m working hard to build a varied skill set that I can apply to the field of Arts Management, where I think I’ve finally found my niche. MY ART: My most significant recent art project was my senior thesis at St. Mary’s. I combined my studies in theater and art history to create costume and set designs for a theoretical production of Sunday in the Park with “George”, a Sondheim musical inspired by the life and art of Georges Seurat. I focused on re-purposed materials, using everything from aluminum can lids to second-hand polka dot fabric to a lot of donated sequins, to bring Seurat’s pointillism into the physical onstage world. The project was creatively exhausting, but fulfilling to see something of my own move from theory into practice. More recently, I’ve been working with fiber art. 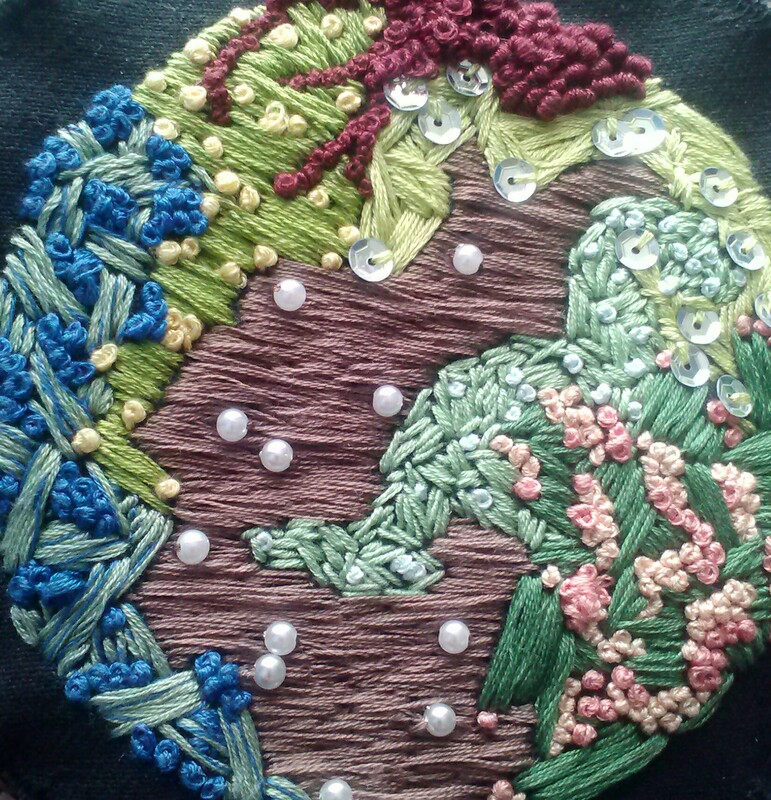 I love to put a piece of black fabric on an embroidery hoop and surround myself with colorful threads, sequins, and beads until something appears. I’ve also begun to experiment with linocuts and printing. I have benefited a lot from having my art education start from a young age, and this is always something I advocate for. MFA & ME: At the end of October I started working at the Circle Gallery on weekends. During my time here I have learned an incredible amount about exhibitions, member relationships, and day-to-day nonprofit operations. I have felt so welcome at MFA and am very thankful for all of the kindness and help from our volunteers – and for Mia and Joann for teaching me the ropes. It has been a joy to work at MFA and I am excited to continue here!